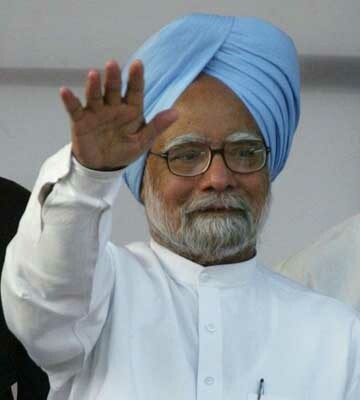 Surat, Apr 27: Prime Minister Dr. Manmohan Singh on Monday attacked the Bharatiya Janata Party (BJP) over the 2002 post-Godhra communal riots in Gujarat, saying that only the National Democratic Alliance (NDA) could give the politics of division. “Only NDA can give you politics of division. Gujarat is the state of Mahatma Gandhi, who worked for communal harmony throughout his life. Those parties who fan communalism are insulting Mahatma Gandhi and Gujarat. During the NDA regime, due to few people, whatever happened in 2002 was against the historic tradition of your state,” Manmohan Singh said at an election rally here. Singh further said the politics of hate and division could not take the country forward. “There is no other way than secularism for this country,” he added. The Prime Minister also slammed BJP’s prime ministerial candidate Lal Krishna Advani for his claims of providing a strong and decisive government. “Some of our opponents are claiming that they will give strong and decisive leadership. You have to decide whether by talking, work of any party will become strong and decisive. One doesn''t become a strong and decisive leader by adorning huge posters,” he added.